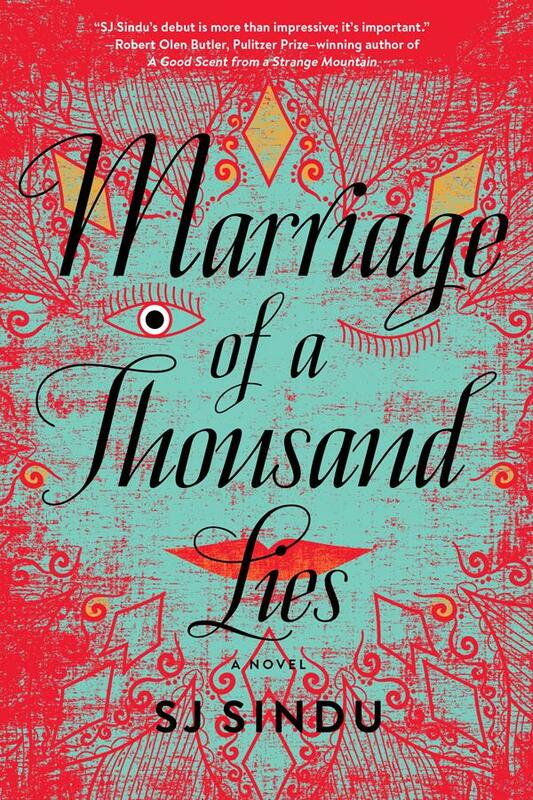 Marriage of a Thousand Lies by SJ Sindu. June 13, 2017. Soho Press, 288 p. ISBN: 9781616957902. Int Lvl: AD; Rdg Lvl: AD. drinks a bit, she makes ends meet by doing digital art on commission. But when Lucky’s grandmother has a nasty fall, Lucky returns to her childhood home and unexpectedly reconnects with her former best friend and first lover, Nisha, who is preparing for her own arranged wedding with a man she’s never met. What do you do when your life is built on a lie—your marriage, your family relationships, your entire identity? The heroine of Sindu’s fine debut, who goes by the Americanized name of Lucky (her birth name is Lakshmi), is a lesbian married to a gay Indian man, Kris (short for Krishna), and to make matters worse, her economic situation is also precarious: she is an unemployed millennial programmer. The child of immigrants from Sri Lanka, Lucky is caught in a double bind: Does she acquiesce or be true to herself? She wants to please her traditional family, especially her mother and grandmother, who want her to live the conventional life of a “good brown daughter.” Her feelings are further complicated when she learns that her first love, Nisha, is about to get married to someone she doesn’t love. When Lucky’s grandmother is injured in a fall, Lucky returns to her mother’s home to be her grandmother’s caretaker, and to confront her present and future. A timely tale with themes of immigration, free will, identity, and personal choice. SJ Sindu was born in Sri Lanka and raised in Massachusetts. Her hybrid fiction and nonfiction chapbook, I Once Met You But You Were Dead, won the 2016 Turnbuckle Chapbook Contest and was published by Split Lip Press. She was a 2013 Lambda Literary Fellow and holds a PhD in Creative Writing from Florida State University. She teaches Creative Writing at Ringling College of Art and Design. Marriage of a Thousand Lies is her first novel.